We all know that the front of a house sends an immediate message. 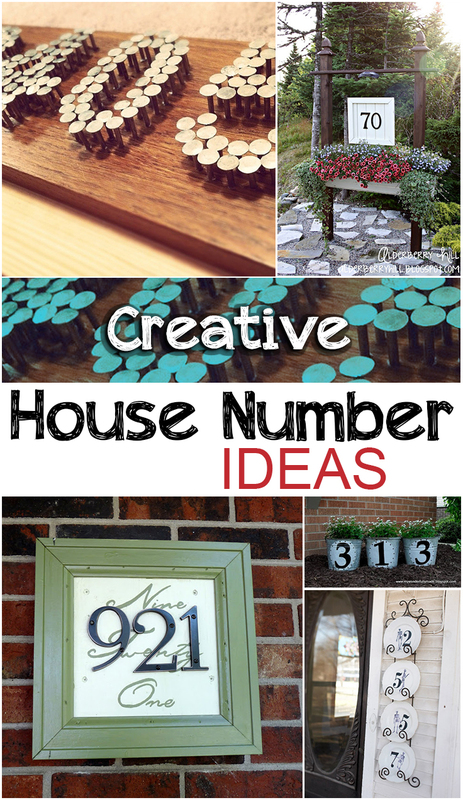 Dealing with the house number situation can seem daunting, until you check out a few of these unique and magnificent ideas. How did you hang this on the stone? I have stones on the exterior of my house and I need something like this. Plus it’s very, very cute!! Do you put a hinge on the back of it to hanger it one or? Sorry my phone messed up. Do you put a hinge on the back, or wire to hang it on the exterior house or? Do whatever works best for the exterior of your house! You could even hang it with a nail. This is such a cute idea!! I will have to make this for the house we will be purchasing next year! Thank you so much for sharing!